Japan’s extraordinarily rich culture spans thousands of years of art, literature, religion and philosophy. From the start, it has been shaped by a broad range of outside influences. 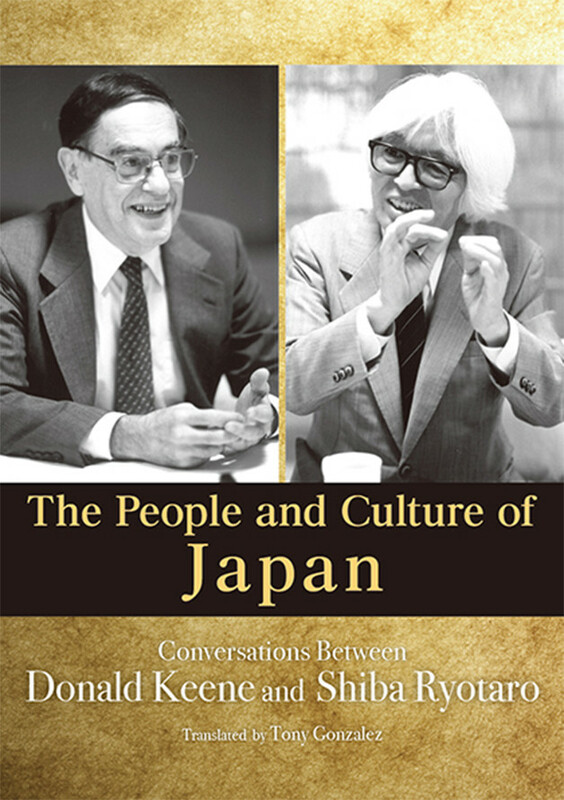 In The People and Culture of Japan, scholar of Japanese literature Donald Keene and novelist and essayist Ryotaro Shiba engage in a passionate dialogue about that culture and its influences. The book is a record of three conversations that took place between the two men in 1971 in the historic cities of Nara, Kyoto and Osaka, translated for the first time from Japanese into English. Their central theme is Japan’s relations with foreign cultures, probed through observations of the poets, pirates, monks and warriors who populate Japanese history. Their topics range from ancient attitudes toward war and religion to the aesthetics of the Muromachi period, which laid the foundation for contemporary cultural practices such as ikebana and the tea ceremony. Keene and Shiba were uniquely positioned to address these topics. At the time of their meetings, Shiba was already one of Japan’s most accomplished historical novelists, having penned over two dozen titles that included his renowned account of the Russo-Japanese war, Clouds Above the Hill. Keene, who studied literature at Cambridge and Columbia, had recently completed translations of classical poetry and Noh plays, as well as commentaries on Japanese puppet theatre and literature. In their conversations the two men draw freely and creatively on these deep reservoirs of knowledge. The questions that concern them are simple but essential. What does Japanese morality consist of, and what is it based upon? What is considered beautiful? Who is a hero? Is Japanese culture “masculine” or “feminine”? 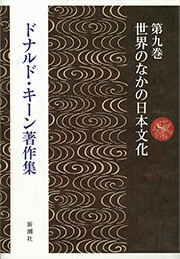 Marshaling snippets of poetry and literature, personal experiences and episodes in the lives of historical figures from Kukai to Basho, they trade arguments that sometimes conflict but more often build upon one another. Occasionally this yields pithy observations about Japanese culture. “The Japanese don’t mind an irresponsible outlook, so long as your art is good,” Keene notes at one point, to Shiba’s agreement. Ultimately, however, their insights illuminate a culture whose diversity and richness elude easy definition. to Japanese literature. He received the Order of Culture in 2008.
received the Order of Culture in 1993.